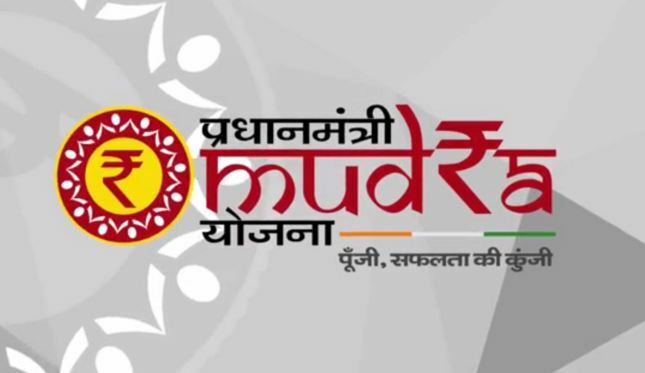 Mudra Loan National Toll Free Number are 1800 180 1111 and 1800 11 0001. Micro Units Development and Refinance Agency (MUDRA) Loan Yojana is set up for refinancing and refunding all the micro-finance Institutions and the small scale businesses. Earlier in ancient times there was no such scheme to help the small businessmen achieve growth and expansion for their businesses. This Yojana has been especially formed for these startups, entrepreneurs of India, small organizations and companies as they encompass within the word Mudra. It is a tremendous initiative been taken by our Honorable Prime Minister Shri Narendra Modi Ji with the Government of India. Fulfilling all the funding needs of non-corporate small business is the only goal of this scheme. Mudra Loan ki Jankari hindi me. Thus, these Mudra banks will be wholly and truly responsible for providing financial support to the Last Mile Financiers such as non-banking finance companies engaged in financing of small business, societies, co-operative societies, trusts, small banks, scheduled banks, regional rural banks, companies under section 25 which are in the trade of lending money to small and micro businessmen. The Mudra Bank would partner with state/ regional level financial institutions for refinancing the last mile financiers. Now some information about how the scheme is structured. This Yojana has three categories for providing loan. Shishu (Child Category): As the name says it includes all startups which have been just launched/ born in the economy. The loan cover extends to about Rs. 50,000 to be given to all micro units falling in this category and looking for loan. Kishor (Adolescent category): This category extends loan to all those business that have created a sufficient base in the economy. These have learnt to stand on their own but still need support for establishment and spreading goodwill. The loan cover in this category is Rs 50,000 to Rs. 5 lakh. Tarun (Adult Category): Now those who are grown up adults fall in this category. They are supported because they have been well established but need support for expansion. Loan extends up to Rs. 10 lakhs. Now extending such big loans is not possible until the corpus fund is a huge hit. The corpus fund of this scheme is characterized to be of Rs 20,000 crores extending loans up to Rs. 10 lakhs. The main target of this Yojana is non-corporate small business segment comprising millions of partnership firms supervising as small manufacturing units, service sector units, shopkeepers, fruit vendors, truck operators, food service units, repair shops, machine operators, small industries, artisans, in rural and urban areas. Regional Rural banks and Schedule Commercial Banks are eligible for assistance from Mudra Loan. All this guidelines need to be followed in a prescribed manner to get the loan sanctioned. First the businessman who is the borrower needs to pay a visit to a private or commercial bank nearby. Then narrate the business plan for which one wants the loan and get the application form. Along with this form provide an identity proof and address proof with recent passport size photographs. Fulfill all conditions as per the bank officials to fill the form and collect info regarding its submission. Once all enquiries have been made regarding the information provided by the borrower, the loan will then be sanctioned to the borrower. In case of any queries and confusion about what needs to be done, contacting the Regional Nodal Officers is must. Mudra Bank has its registered address at SIDBI, Ground floor, Videocon tower, Jhandewalan Extension, E-1, Rani Jhansi Road, New Delhi-110055. One can also visit the official website in case of any questions; help@mudra.org. Access to finance simultaneously at a reasonable price is the unique customer proposition of Mudra. Thus, this long process is very vital for the future as well as for the present growth of our economy. With such a huge population to support, we need industries and better working economy to cater to its needs. We are still a developing economy but we need to reach the stage of a developed nation. We need entrepreneurs to rise above the horizons. You complaint about that manager to his head office. Go to the bank nd try to find the contact no of head office or vigilance. Tell ur problems. I am looking for business loan from many year and doesnt get any loan not from employment office and still after long search not getting mudra loan for business why so,my age 36 not any cheque bounce ,,,please contact me or give me contact detail where i apply ,i am now in Mumbai,My hometown in Vidharbha. I am a small businessman of Kolkata. I went to many banks for the Mudra Loan but each one refused my proposal. Sir, I would like to Know that whether it was for your advertisement in print/ electronic media for vote purpose or it is truth. Please let me know the facts. i went to UCO bank 0410 dissergarh branch. the branch manager told me that we have not any mudra yojna. pls help me regarding this issue. Respected sir/ Madam, myself Shashikanth Nakshathri doing business with my father Mr. Srikanth at Sidlaghatta- 562105, Chikkaballapur district, Karnataka state. We have Savings as well as Current account in Corporation bank Sidlaghatta branch. When we enquired about Mudra Loan, The bank Manger not given proper response regards Mudra and asks for security. Which we don’t have. We are looking for Mudra Tarun Loan. Kindly help or do the needful. sir myself Nikhil Srivastava, from Gorakhpur, u.p. have visit most of the bank but they deny to give loan under mudra yojna, I have a/c with pnb ( vikas bhawan branch) Gorakhpur, named S S Medical System, they also deny my request. sir my business is in loss, and i was going to wind up my my 5 year old business, my business need some capital. so please do fever of me. I’m Hemant Kumar ,I have open a food cafe ‘FOOD PLAZA’ at Alwar by pass Bhiwadi. i have think about it do standerised an open it new branch. I have tried to take Mudra loan for my dad’s auto vehicle from many of the banks but I think they are not interested to provide. I got response from canara bank is the rate of interest of mudra is higher than our bank so it’s better for you to apply loan from our bank. I have visited at IDBI bank kalwa branch they said that as per government rule they are not providing mudra loan to senior citizens. why u play with common mans feeling, the bank people tell we have no particular circulation to gv mudra loan we can not provide but bank people give loan to vijaya maliya , we are common person so bank people play with us. if it is a true scheme for common people then give priority other wise stop playing with common mans feeling. i am a sbi bc/csp and vle atal seva kendra paramadra deeg bharatpur Raj. I want a open computer teaching center our vilallage. so,i want some finencial help with kishor mudra. I have been applied for loan to start the new business in mudra scheme at Syndicate bank -Tamil Nadu – Coimbatore – 641035 , saravanampatty branch and completed all my documentations and procedures but still now they are not responding me properly . It has been applied by march 2015 by believing them i have left my job and my credit value due to run my family increased day by day at last now im in position to get end my life because of my credit value, i have been waiting for 1 year for this loan sir , so please do the needful if possible. I am Sandeep. S aged 35 from Bangalore India. I had started a firm 10 months back. Now i need to invest and build a team and need some capitol amount to get this on. I 2 months back also messaged you here, but i didnt get your reply. i do own a saving and current account in State Bank of India. I have been enquiring about mudra loan and also if any loans for me which is needed in urgent. But they dont respond at all properly. Each time they tell a story and inform as of now Mudra loans are not available. Can you kindly let me know whether how real this scheme is and is it really to help small people and firms to grow. I would appreciate your prompt response at the earliest. So that i can decide whether to continue my firm or close it. I am a small businessman of kerala. I went to many banks for the Mudra Loan but each one refused my proposal.